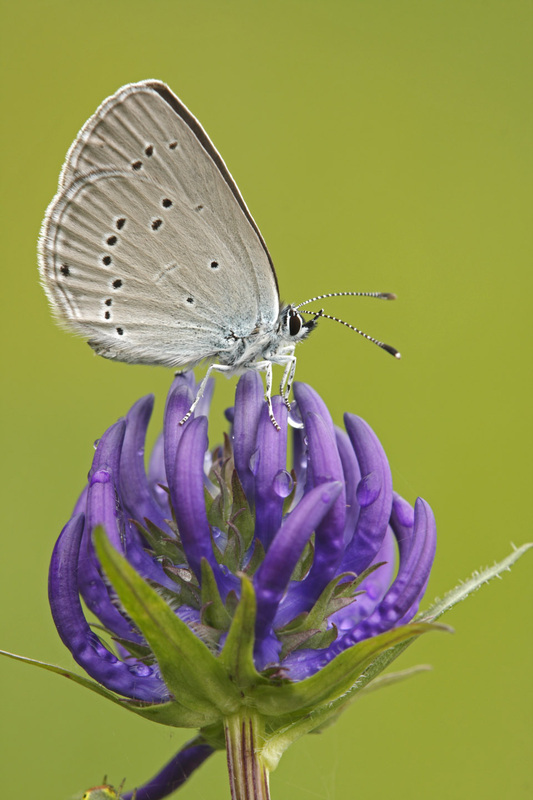 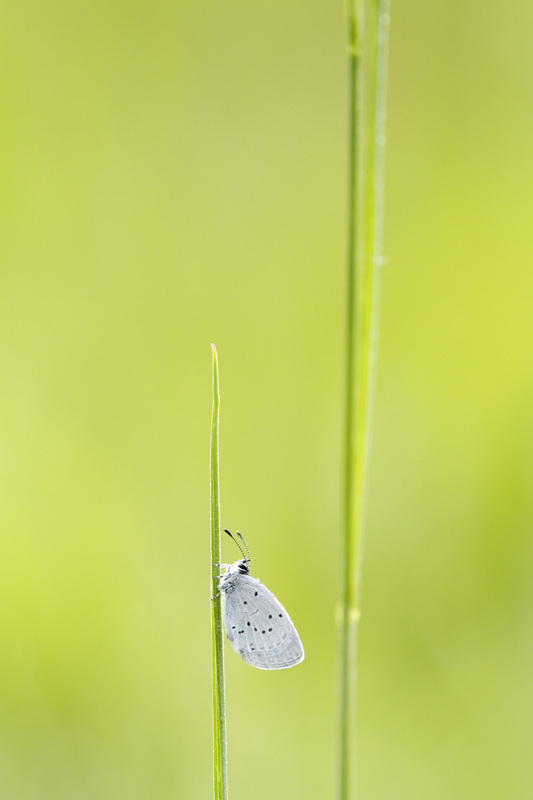 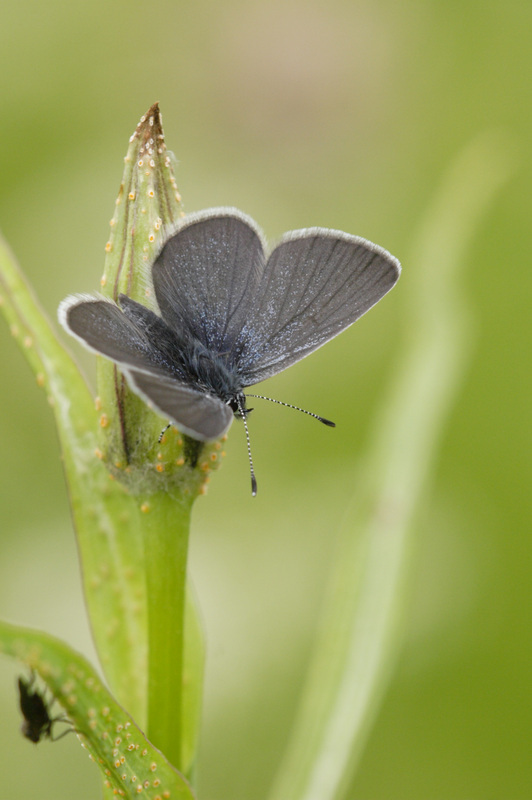 This is the smallest butterfly (8-12 mm). 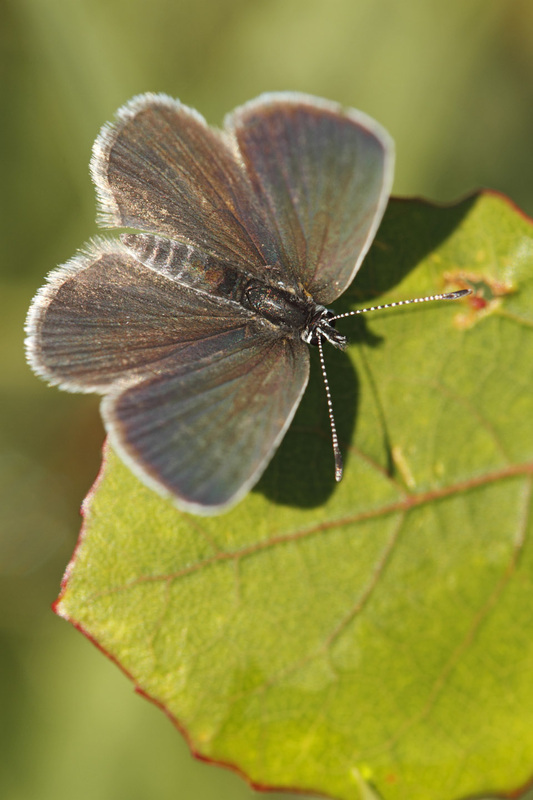 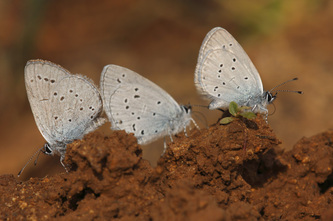 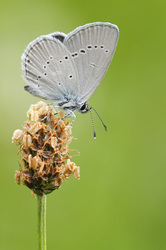 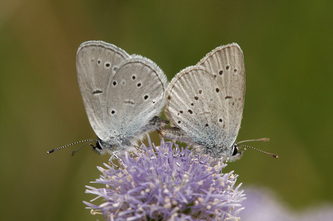 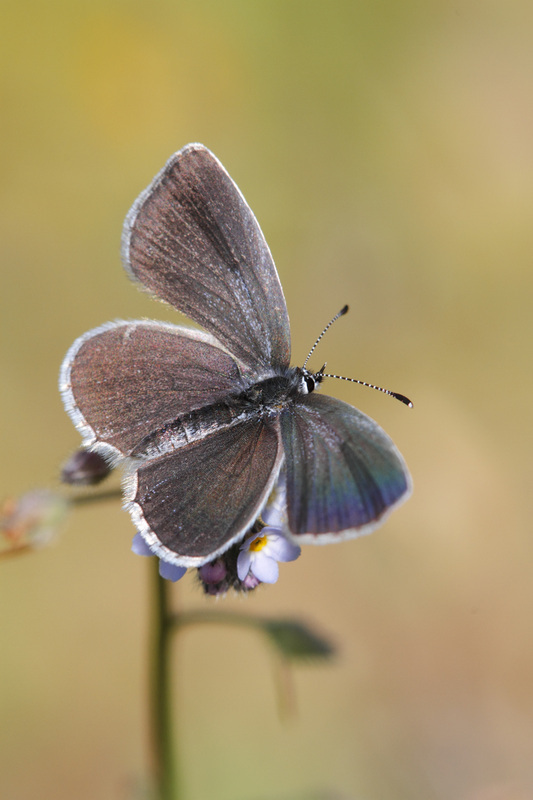 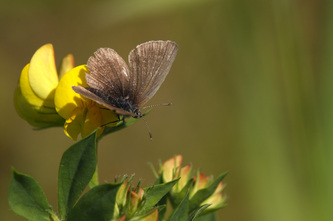 The uppersides are sooty brown with white fringes in both sexes, an unmarked except for a dusting of silvery-blue scales, mainly near the base, in the male. 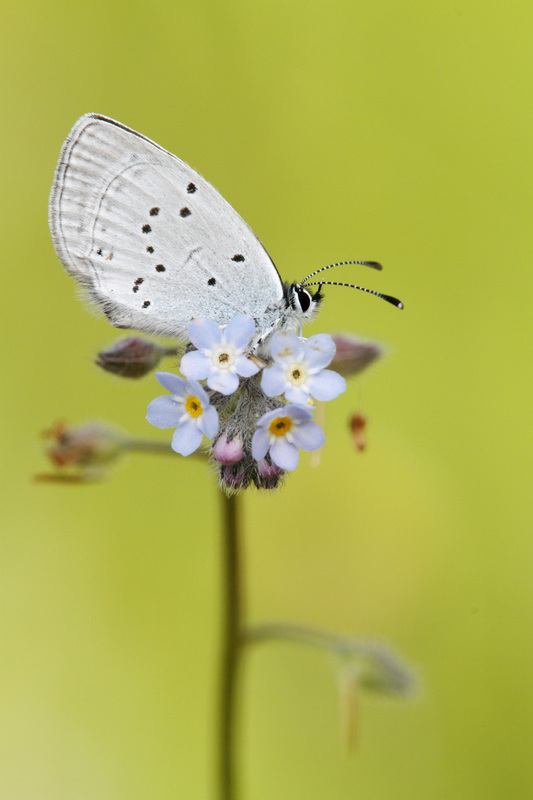 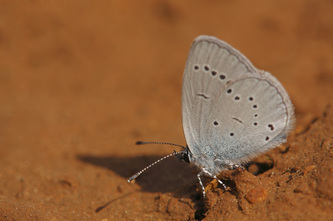 The undersides of both seces are pale greyish brown, with a blue flush near the base and a numer of small, white-ringed black dots. 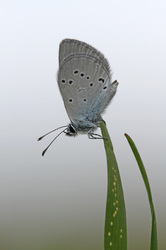 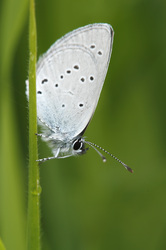 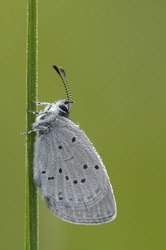 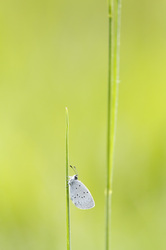 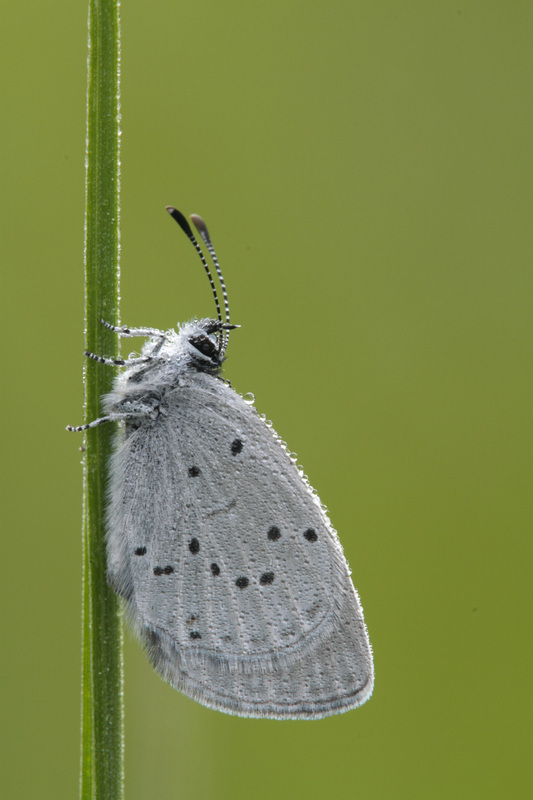 The post-discal dots of the forewing lie in an almost straight line running parallel to the outer margin. 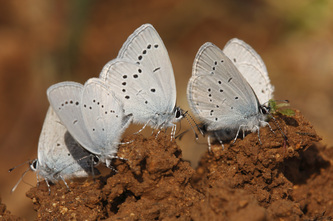 Flight from April to September in one or two broods. 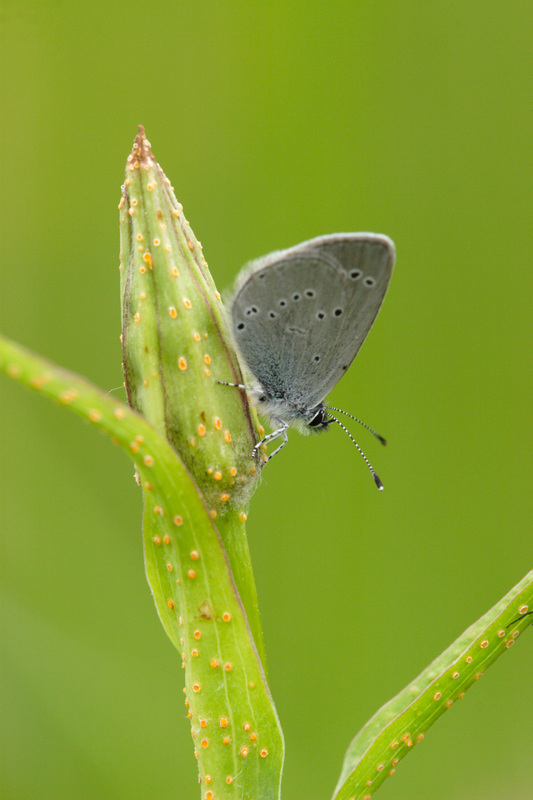 The main larval foodplant is Kidney Vetch (Anthyllis vulneraria) but medicks are eaten in some areas.